Looking for private in-home or in-studio lessons? Our Center Valley teachers are ready to get you started. Find your teacher today! Can't find a teacher in Center Valley? The average cost of 60-minute music lessons in Center Valley is $64. While the exact cost will vary depending on the teacher, type of lesson, and your location, you should expect to spend anywhere between $59 and $69 per hour. 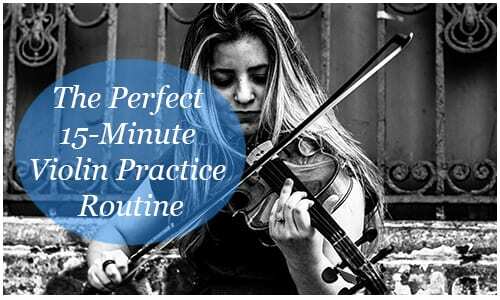 For the best experience, we typically recommend 60-minute music lessons. However, students looking for a more affordable option may want to consider a shorter lesson length of 45 or 30 minutes. On average, 45-minute music lessons are 24% less expensive at $49, and 30-minute lessons cost 24% less at $49. Curious how much music lessons cost in your area? Do a quick search to get local prices for the best music teachers near Center Valley. Check out some of our most popular teachers near Center Valley including Philadelphia, Princeton, Trenton, West Chester and Pennington. Dena is a professional vocalist, teacher and music therapist. With more than 30 years experience as a singer in a variety of styles including jazz, opera, musical theatre and classic rock, Dena brings a wealth of performance experience to her teaching. Her more than 25 years as a music therapist brings a flexible, patient, joyful style to her teaching; helping students express themselves through their music and leaving them looking forward to what comes next. Dena has worked with students of all ages and levels of training; she has also developed teaching techniques that have proven effective for students with a variety of disabilities such as Asperger's Syndrome, Down Syndrome and speech delay. Dena will shortly be releasing her first CD of children's songs; energetic and fun original songs that teach and entertain. Dena began playing piano at the age of four, she participated regularly in piano guild competitions and performances. She began voice lessons at the age of 11, she has traveled with performance choirs to Germany, Austria and Poland. She was a regular participant in All State Choirs and was chosen to perform for the American Choral Director's Association Choir while in college. As a performer, Dena has appeared professionally with the Opera Theatre of Rochester and the Gilbert and Sullivan Players. She has performed at jazz clubs and as the lead singer of the classic rock cover band "No Mules," a popular local group featured at numerous fundraisers, First Night festivals and civic club events. For the past ten years, she has been singing with a local auditioned choir that performs classical, gospel and Broadway music, appearing as a soloist at their annual fundraiser. She has played roles in numerous local theatre productions such as "Sweeney Todd," "Kiss Me Kate," "Company," and "Cinderella." She looks forward to opening up performance possibilities to her students and building their skills for a lifetime of musical memories. As a teacher, Dena has taught for over 25 years; her students have included local DJ's, college students, 'tweens,' young and 'not so young' adults as well as children and adults with learning differences. Dena approaches lessons with a sense of humor and fun; her ability to be flexible allows her to shape the curriculum according to the student. She uses several of the well respected piano curricula (Bastien, Alfred, etc. ), tailoring lessons to students specific skills and challenges. Students should expect to play their instrument from the first lesson, building their reading skills, eye hand coordination, playing or singing skills and understanding of music theory gradually and confidently. Piano- Lessons tailored to individual students, can include music reading, skill building and improvisation. Lessons are drawn from a variety of teaching sources including standard piano method books, music of interest to individual students and adapted music (e.g. simplified). Voice- Lessons are tailored to individual students, can include introductory vocal technique, coaching for experienced students, vocal improvisation and singing for stage. Music is drawn from teacher recommendations and student preference. Musical theatre, Adaptive music lessons (for learning differences). Weekly and bi-weekly lessons are available. Dena is a wonderful teacher! It was my first time trying to sing and she made me feel comfortable, confident, and gave great exercises and techniques to help! I can't say enough about this amazing teacher. My two daughters have been with her for several years now. They have grown as vocalists and performers. Dena has an extensive range of musical talent, training and knowledge. She is intuitive and respectful of a child's feelings. She always seems to know how to best approach her students to get the most from them. I could go on and on. If you are looking for a music teacher, I say "look no further". I was raised in a musical family and started to play the piano at the age of 6. At the same time, he had joined a Judo team and continued his studies of martial arts for the next 10 years. At the age of 14, I was given a flute to try, 2 months after I started the flute I already performed my first short recital during which he performed Handel and Haydn sonatas. After two years of aggressively studying the flute, I was able to enter the world-famous Music College at the Leningrad State Conservatory, where he had pursued several disciplines: Flute Performance, Orchestral Performance, Orchestral Conducting, and Music Education. I graduated with honors from that college, at the graduation he was playing Mozart Concerto #2 in D Major for flute and orchestra and conducted the Italian Symphony by F. Mendelssohn. he Leningrad State Conservatory in the class of Prof. Vavilina-Mravinskaya. At the same year, he had begun playing in the Kirov Ballet orchestra, the youngest flute player ever joined that orchestra. I had played numerous recitals and recording throughout Europe. He had promoted baroque and modern music. His repertoire had classics of Bach and his sons, Beethoven, Mozart and contemporary composers like Gubaidulina, Banschikov, Martinu, and many others. Together with my father we organized a chamber music group “Classica” which performed on major concert stages throughout St. Petersburg and the region, major museums and concert halls. In his audience, one could find Margaret Thatcher, Mikhail Gorbachev, just to name a few. In 1990 I had begun his studies in the United States. He had started the Artist Diploma program in the University of Cincinnati and was commuting to New York City to study with Mr. Julius Baker at his studio in Brewster and Julliard School of Music. I believes in the core principle of giving the opportunity to everyone the access to the high quality and innovative education that he believes in. I taught hundreds of students in many parts of the world. You can see my students now as teachers, doctors, and, of course, musicians and advocates of arts like he is. I believe in the organic growth of a young musician, and an artist. Please feel free to visit a blog on my website which has quite a few interesting articles.